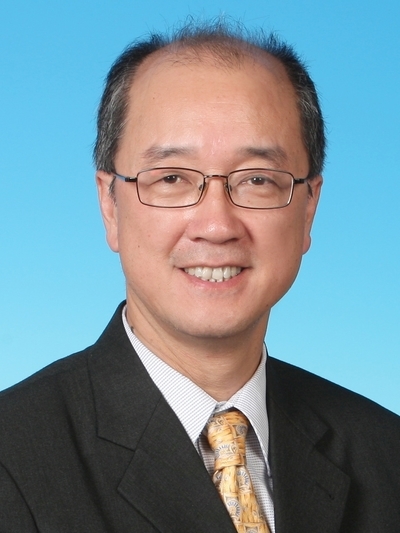 Prof. Tony Chan was the third President of the Hong Kong University of Science and Technology. He was previously Assistant Director of the US National Science Foundation (NSF) in charge of the Mathematical and Physical Sciences Directorate, which is the largest directorate of the NSF. In this position, he guides and manages research funding of almost HK$10 billion a year in astronomy, physics, chemistry, mathematical science, material science, and multidisciplinary activities. Prof. Chan had been in the NSF position since October 2006 upon taking temporary leave from the University of California at Los Angeles (UCLA), where he was Dean of Physical Sciences from July 2001 overseeing over 200 faculty members, 700 graduate students, 700 under-graduate majors, and about HK$550 million in annual federal research support. Prof. Chan's scientific background is in Mathematics, Computer Science and Engineering. He received his BS and MS degrees in Engineering from the California Institute of Technology (Caltech) and his PhD in Computer Science from Stanford University. He pursued postdoctoral research at Caltech as Research Fellow, and taught Computer Science at Yale University before joining UCLA as Professor of Mathematics in 1986. He was appointed Chair of the Department of Mathematics in 1997. He also holds honorary joint appointments with the University's BioEngineering Department and the Computer Science Department. Prof. Chan was one of the principal investigators who made the successful proposal to the NSF to form the Institute for Pure and Applied Mathematics (IPAM) at UCLA, with a vision to promote collaborations between the mathematical sciences with the general scientific and engineering disciplines. He served as IPAM's Director from 2000 to 2001. Prof. Chan is an active member of many scientific societies, including Fellow of the Society of Industrial and Applied Mathematics (SIAM) where he had served on both the Board of Trustees and the Council, as well as Member of the American Mathematical Society, and the Institute of Electrical and Electronic Engineers (IEEE). He has served on the editorial boards of many journals in mathematics and computing, including SIAM Review, SIAM Journal of Scientific Computing, and the Asian Journal of Mathematics, and is one of the three Editors-in-Chief of Numerische Mathematik. He co-wrote the proposal to start a new SIAM Journal of Imaging Sciences and serves on its inaugural editorial board. He formerly served on the NSF Mathematical and Physical Sciences Advisory Committee and the US National Committee on Mathematics, and represented the US to the 2006 General Assembly of the International Mathematics Union in Spain. He had served as founding co-Director of the Center for Computational Biology at UCLA, an interdisciplinary center funded by the US National Institutes of Health (NIH) under the NIH Roadmap initiative, until he had to relinquish that role to take the position at NSF. His current research interests include mathematical image processing and computer vision, Very Large-Scale Integration (VLSI) physical design and computational brain mapping. He has published over 200 refereed papers and is one of the most cited mathematicians. He has mentored over 25 PhD students and 15 postdoctoral fellows. He has given many invited plenary talks at national and international meetings, including the 1989 SIAM National Meeting, the 2002 Joint Mathematics Meeting, and the 2005 Asian Mathematics Conference. He has won two Best Paper Awards (IEEE and International Society for Peritoneal Dialysis) and has served on many national and international advisory committees. In October 2007, he became one of the five academics in the field of Mathematics to be elected Fellow of the American Association for the Advancement of Science. He has maintained frequent and close relationships with Mainland China and Hong Kong over the past two decades, and has served at various local institutes since 1985 as visiting professor and external examiner, including the University of Hong Kong, the Chinese University of Hong Kong (CUHK), Baptist University, and City University. He was named CUHK United College Distinguished Lecturer in 2002, along with Nobel Laureate Prof. Yuan-Tseh Lee. He has made over 30 academic visits to Mainland China and in October 2007 he led a National Science Foundation delegation to visit key government authorities related to science and technology. Born and brought up in Hong Kong, Prof. Chan attended the Salesian English School and Queen's College in Hong Kong before furthering his studies in the US.